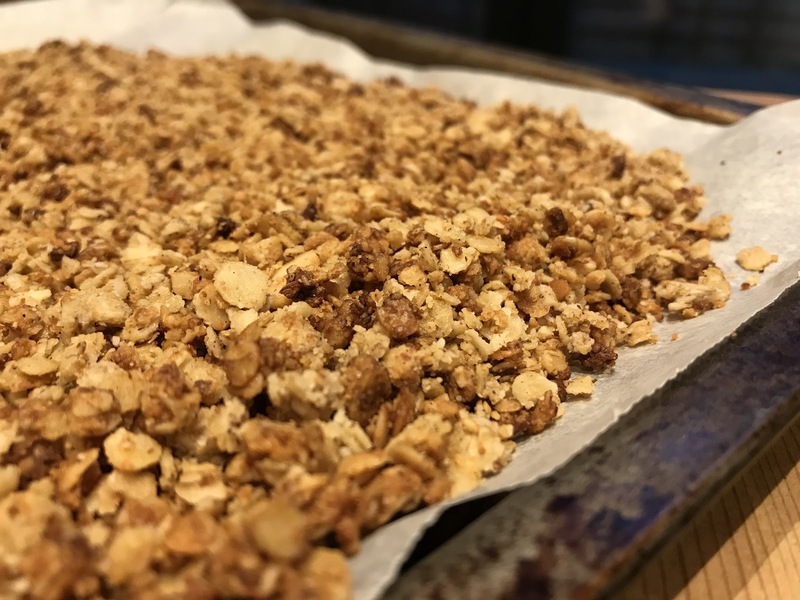 With Christmas fast approaching, this quick, easy and healthy granola recipe could be the solution for your present worries! It makes for a great christmas present / stocking filler for family or friends and will easily last for a few months when stored in an airtight container. Or...you could just make the batch all for yourself, simply serve with some fresh fruit and yoghurt and let the granola do the talking! Preheat the oven to 180 degrees / gas 6. Melt the coconut oil and honey in a small saucepan. In a mixing bowl add in the oats, coconut, ground almonds, vanilla and salt. Pour the oil and honey mixture over and stir until everything is well coated. Pour out onto a lined baking sheet and bake for 20 - 30 minutes, stirring every 10 minutes to ensure the granola browns evenly. Leave to cool completely then serve and enjoy!